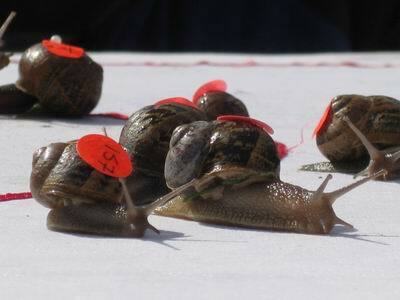 In September 2009 we were contacted by a research from Talkback Thames, the production company for Britain's Got Talent. 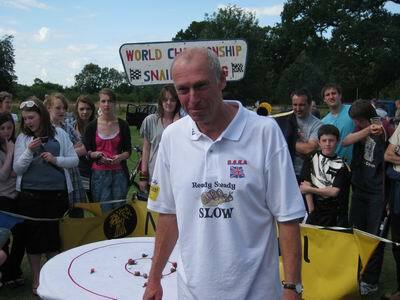 We were asked if Neil Riseborough, the racemaster of the World Snail Racing Championships, would like to enter the contest. 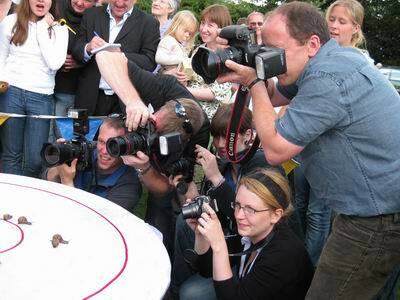 The video above shows Neil's performance which was broadcast on ITV on Saturday 24th April 2010. 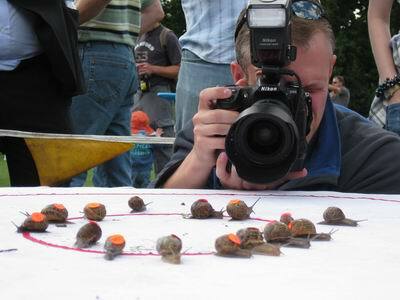 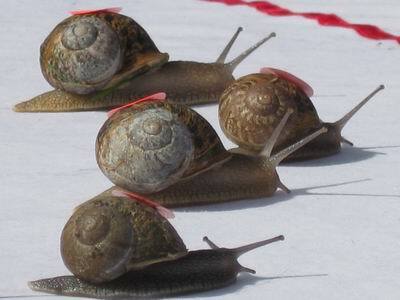 The 2009 world snail racing championship was held on Saturday 18th July. 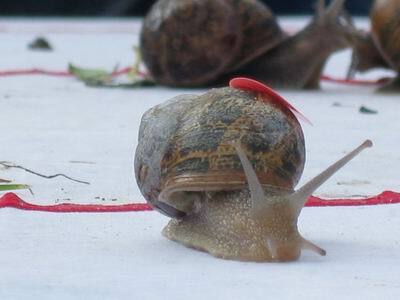 The 2009 world champion was a snail called Terri who won in a time of 2 mins 49 secs. 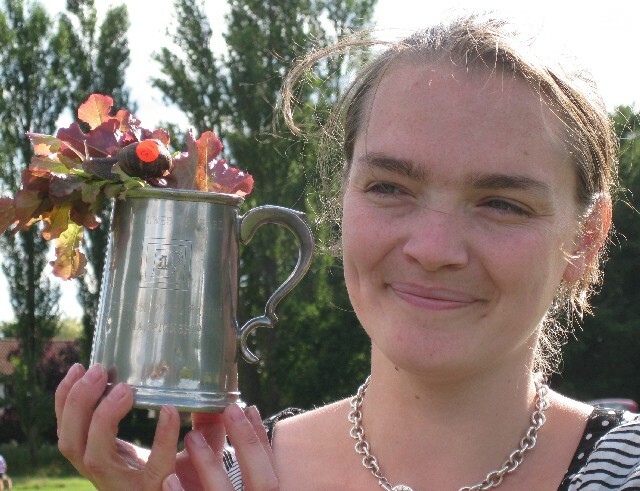 The owner was 27-year-old Claire Hopkins from West Raynham Park near Fakenham. 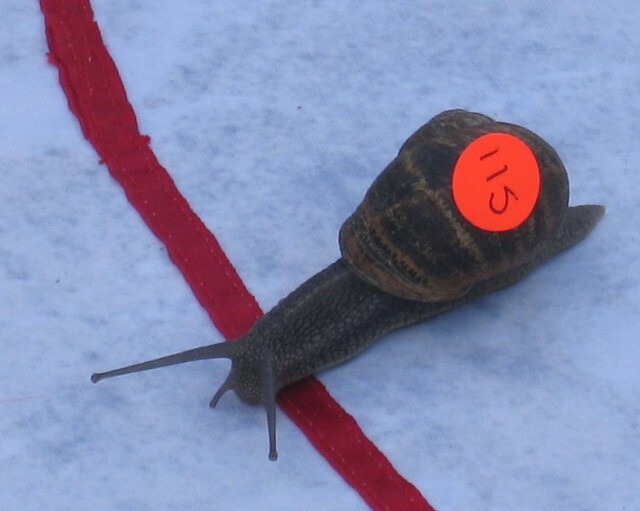 There were 187 entries to the Championship and a good afternoon's racing.